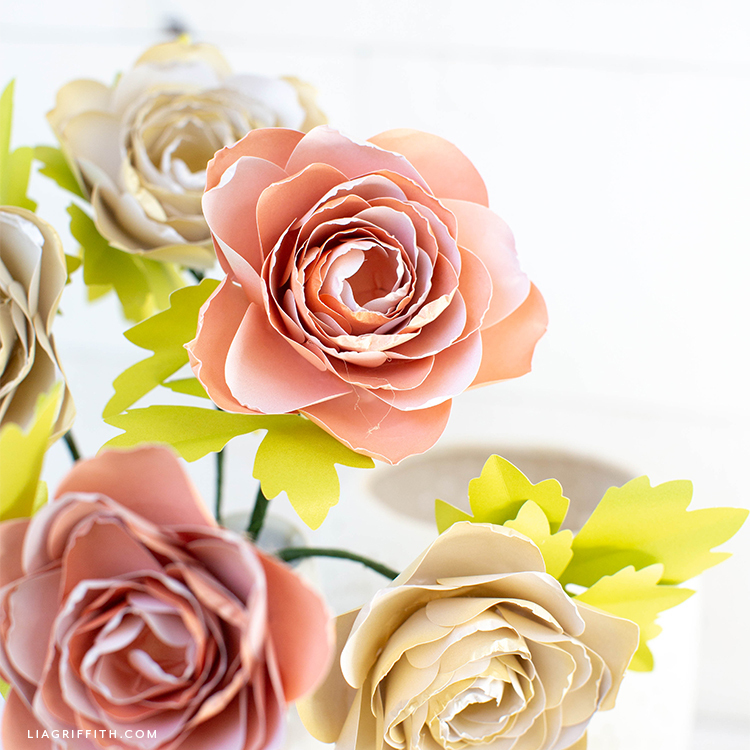 Have you seen all of our new paper flower kits yet? 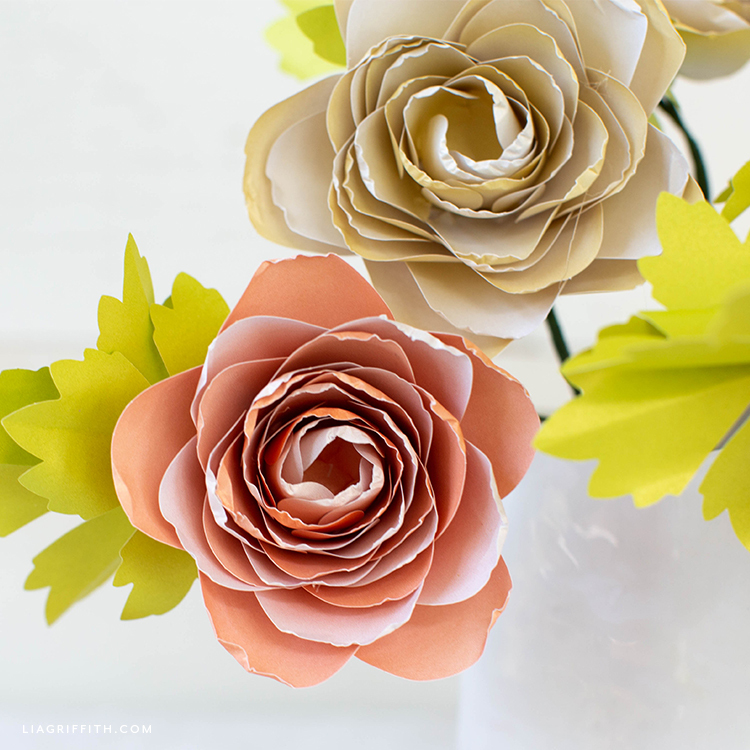 If you’re new to making paper flowers and you’re not quite sure where to start, go check them out! All of the flowers (and plants!) are perfect for beginners. They’re also a great way to simplify your flower crafting process and save some time. This frosted paper ranunculus flower kit is one of 11 new flower designs that are available in our online craft shop. If you’re outside of the US, you may be able to find it on Amazon. 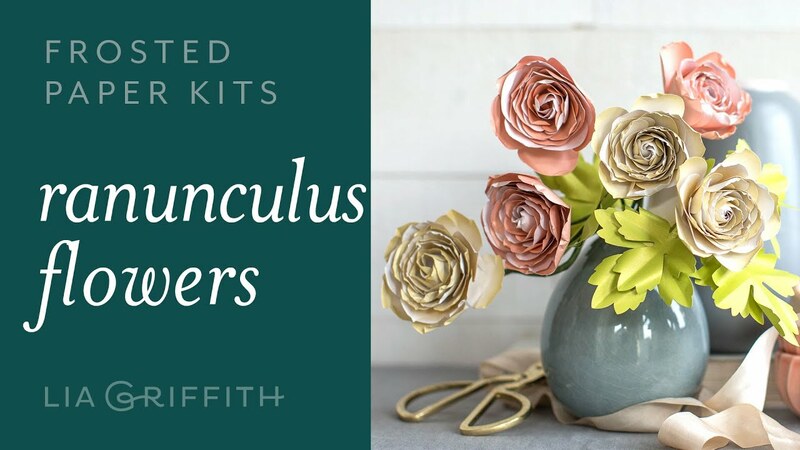 With this kit, you can make six ranunculus flowers with leaves, as shown below. If you watch our video tutorial below, you’ll see just how simple it is to achieve the layered look of ranunculus flowers. 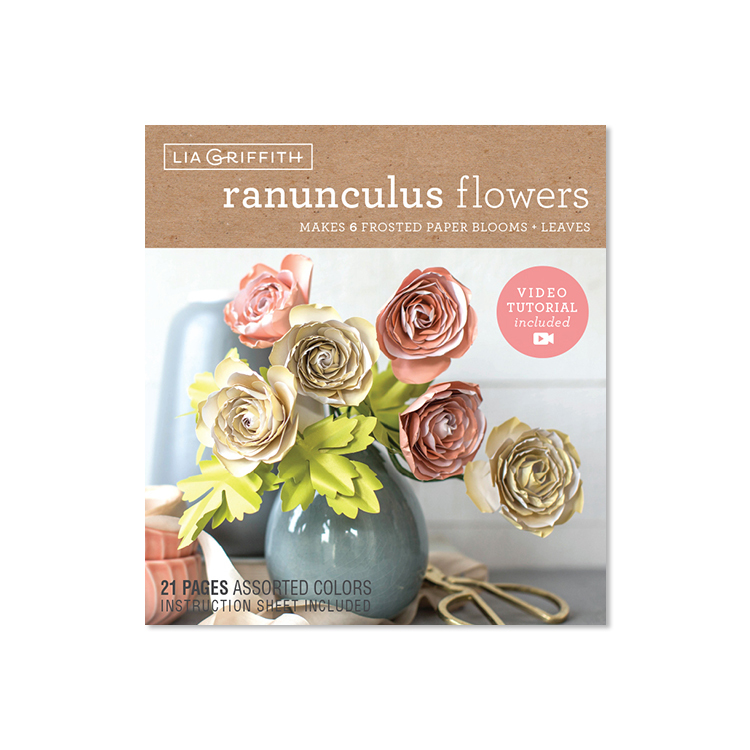 Our frosted paper ranunculus flower kit makes it very easy to craft these pretty blooms. Inside the kit, there are 21 die-cut sheets of frosted paper. You will also see a tools and materials list, step-by-step instructions, and a link to a video tutorial. 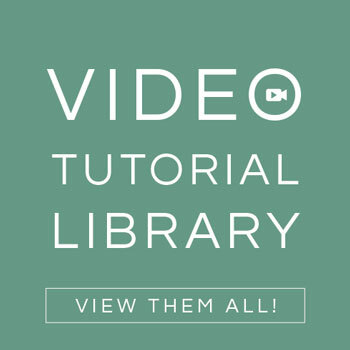 If you’re curious, we’ve listed the tools and materials here as well—along with the video. 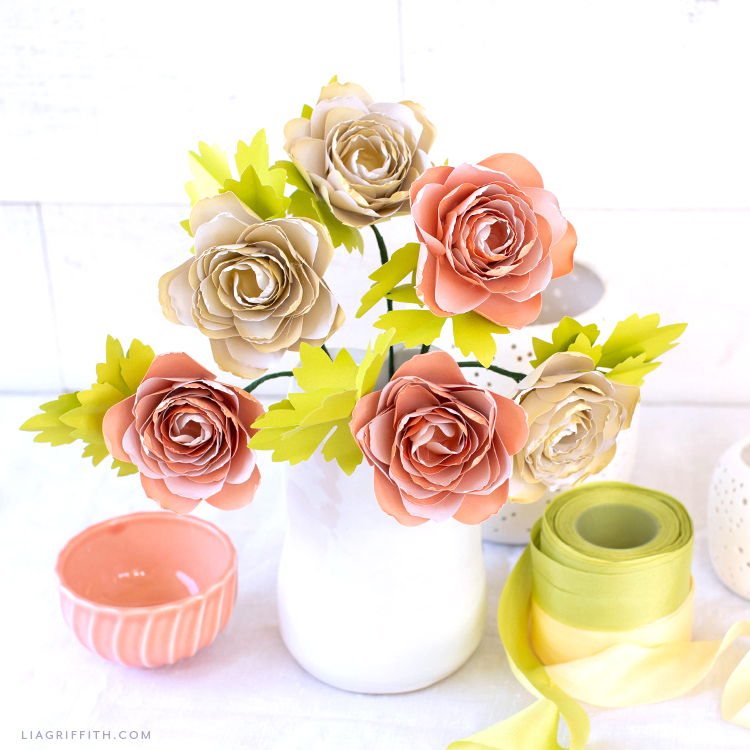 Once you’re done making your frosted paper ranunculus flowers, you can place all of them in a vase together and enjoy your flowers for as long as you want! You could also use your ranunculus flowers in another craft project. For example, we have used our ranunculus blooms in wall art and as gift toppers. We would love to see your finished ranunculus flowers. And of course we want to hear about your crafting experience, too! You can always message us on Instagram or Facebook with pictures of your flowers—or share photos on your own social pages with the hashtag #MadeWithLia. 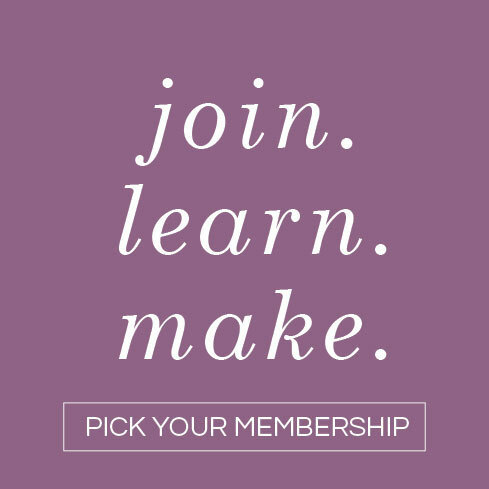 If you’re part of our crafting community, you can also share them on our Facebook page for members. 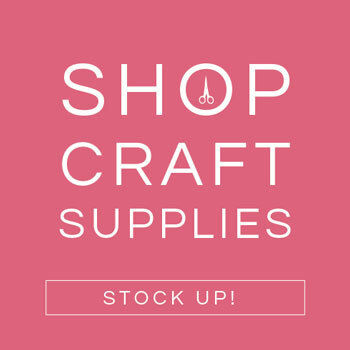 This is a great way to connect with other crafters, too, and get some DIY tips! Want more handcrafted flower ideas? Browse all of our paper flowers and plants on the site. Or check our YouTube channel for paper flower video tutorials. For daily DIY ideas, join us on Facebook, Pinterest, and Instagram. And if you have any questions or feedback, just comment below. We love to hear from you!